Dr. Wortham and Dr. Brunton's office is a Family Medical Practice carrying on the legacy of Dr. Megan Shields and has been providing general medical care for the whole family, including pediatrics and gynecology, for over twenty-five years. In addition to providing routine family medical care we specialize in Prolotherapy, Platelet Rich Plasma (PRP), and Stem Cell Therapy for joint pain and injury recovery. Additionally Cosmetic PRP is delivered as a highly effective facial skin rejuvenation therapy. Our Doctors medically supervise the highly successful Fat Flush weight loss program and oral HCG low calorie diet. 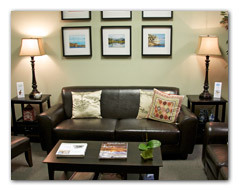 At our office we offer personal, friendly and thorough service, from our receptionist to our nurses, to our physicians. Our doctors implement state-of-the-art modern medical treatment and diagnostic techniques.. However, we also specialize in finding natural and nutritional solutions to many health problems commonly treated with prescription medications, such as high cholesterol, hypertension and diabetes. Our natural solutions are Prolotherapy, PRP, and Stem Cell Therapy which are alternative treatments for chronic pain and surgery. We provide Vitamin IV (Intravenous Vitamin drip) in addition to carrying a large selection of medical-grade nutritional supplements for our patient's convenience. Dr. Wortham and Dr. Brunton's office is located on the 5th floor of the Glendale Medical Arts Building in Glendale, CA. We also service the communities of Burbank, Altadena, Pasadena, Hollywood, La Canada, Eagle Rock, Atwater, Los Angeles, Silver Lake, Highland Park, La Crescenta, Alhambra, Echo Park, Monterey Hills, Monterey Park, Sherman Oaks, and Encino California. "Please take the time this week to watch the free Docuseries "The Healing Miracle of Stem Cells". It is a 9-day video series featuring 56 of the world&apos;s foremost authorities in the new medicine of the stem cells.